The weather story of the week continues to be cold temperatures that do not resemble summer. While Chicago reached 80° yesterday, the high might not reach 70° today. The cold air is moving further south and east, reaching Atlanta and New York City tomorrow. Ahead of the chill, strong storms could develop in the Northeast today. Another round of thunderstorms will threaten with damaging winds and heavy rain from the Mid-Atlantic to New England. While the strong storms with the cold front should diminish tomorrow, the story of the chilly air will not be done. 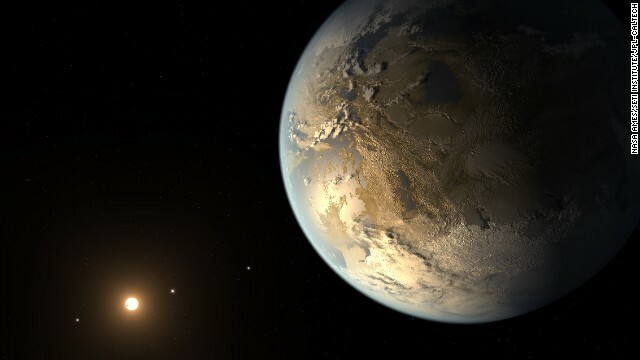 Scientists looking for signs of life in the universe - as well as another planet like our own - are a lot closer to their goal than people realize.